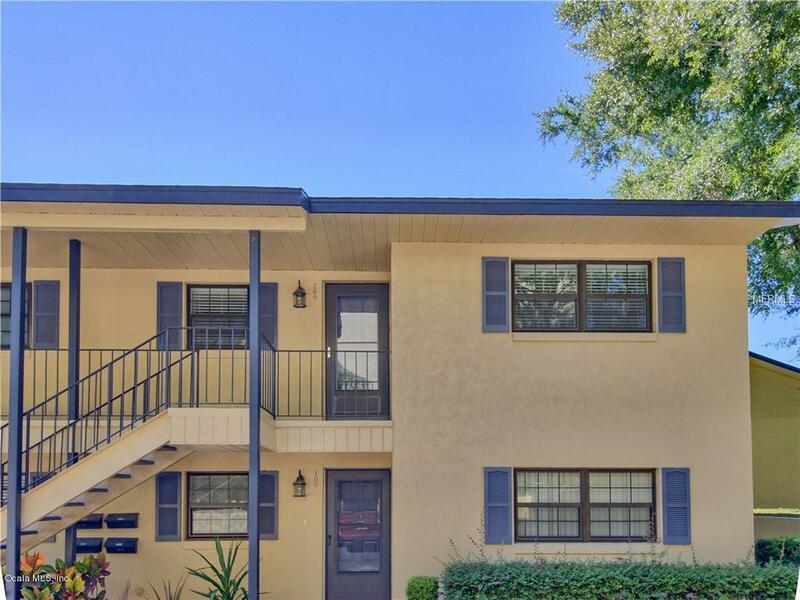 You will LOVE this REMODELED 2/2 Condo in DOWNTOWN MOUNT DORA! Everything is NEW! FURNISHINGS INCLUDED! 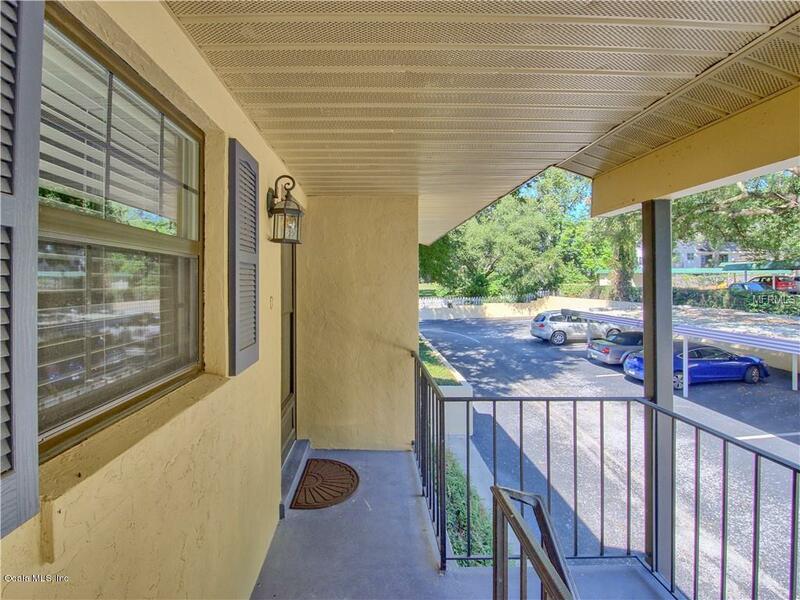 Second floor unit in back of complex offers privacy and a serene view of the landscaped courtyard & community pool! Inside - light & bright WOOD LAMINATE floors carry throughout, no carpet here! The top of the line kitchen boasts Shaker cabinetry w/ CROWN MOLDING & Stainless Hardware, NEW STAINLESS STEEL Appl. Pkg, neutral QUARTZ Countertops, recessed lighting & gorgeous MOSAIC BACKSPLASH! 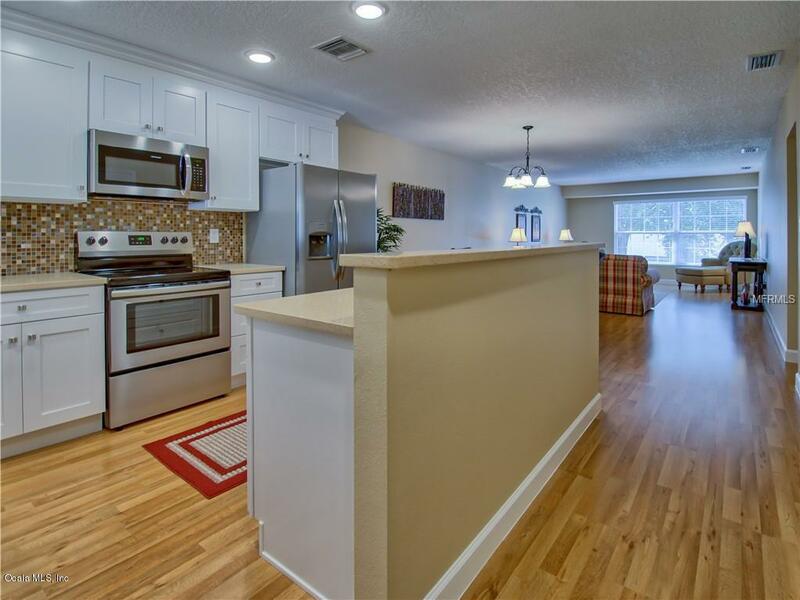 This floor plan has been totally opened up w/ no obstructions throughout the living space! There is plenty of room for a large dining table and plenty of seating in the living space!The spacious master suite boasts dual closets, plenty of windows & natural light thanks to being an end unit and a remodeled ensuite bath with TILED Walk-In Shower w/ FRAMELESS GLASS DOOR & new vanity w/ Shaker Cabs topped w/ QUARTZ! The guest bath has been redone w/ the same high quality finishes! In the guest room you'll find two closets & again, plenty of natural light! Additionally, there is an indoor laundry closet w/ new W & D! PLUS the doors & windows have been replaced! A/C & HW Heater are approx. 2 years old! 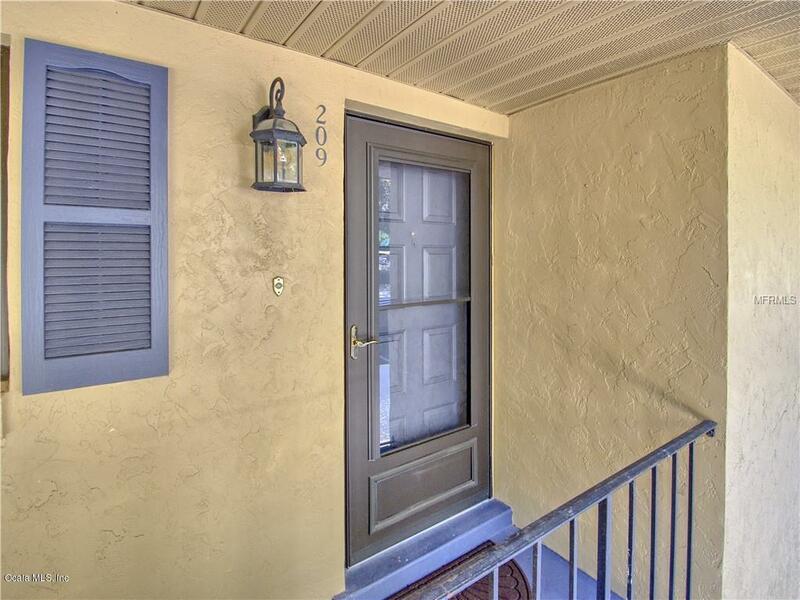 Lakewood Condos are one of the few condos, this close to downtown, with NO AGE RESTRICTIONS & that ALLOW YOUR PETS! 0.3 Miles to GILBERT PARK & LAKE DORA! 0.3 Miles to Donnelly Park too! The location can't be beat! Listing provided courtesy of Tammy Freilich of Remax/Premier Realty - Lady Lake.